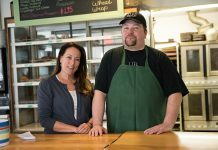 The Vineyard specializes in gourmet and interesting foods. Culinary experiments are encouraged, if not demanded, especially in the summer. While restaurants strive to new heights, however, so do their prices. So here we’re going to take it back to simplicity. In the coming weeks we will be running a series of recipes for $5 or under per person, with a total time of 30 minutes or less, kitchen to table. Priced locally, they are collected and made with the intention of being accessible to all Islanders. No caviar, no champagne. Included will be suggestions to dress them up or down. However, the base will always be a healthy, nourishing meal. We want to hear from you. Have a three-ingredient recipe that your grandma would break out for every family cookout? A snack that the kids devour after practice? Are you up to your ears in kale, and need to eat it up somehow? We’ll take suggestions on recipes, ingredients to feature, or ways to make this series better serve the Island community. Let us know: Email sophia@mvtimes.com. This is a light summer meal. Beef it up with beans or chicken for protein. 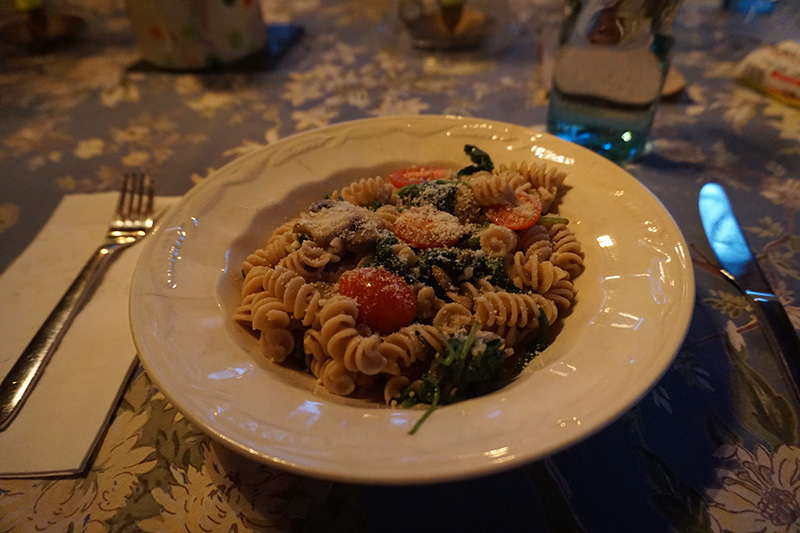 I finished it with some Parmesan cheese, but if you go heavier on the lemon juice, that will lend it a nice flavor as well. 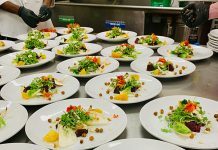 The flavors are so basic that you can throw practically anything in or take anything out depending on if you’ve got a picky eater, a vegetarian, or an omnivore. 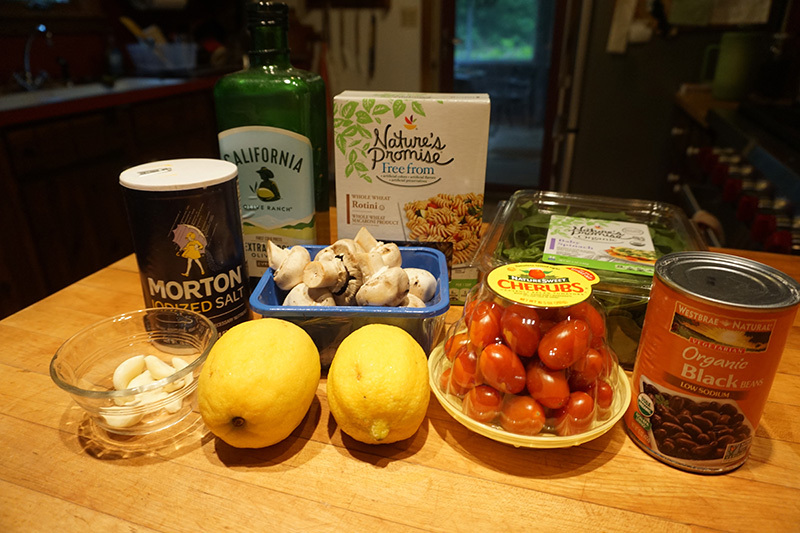 Rinse mushrooms, spinach, tomatoes, and lemons. 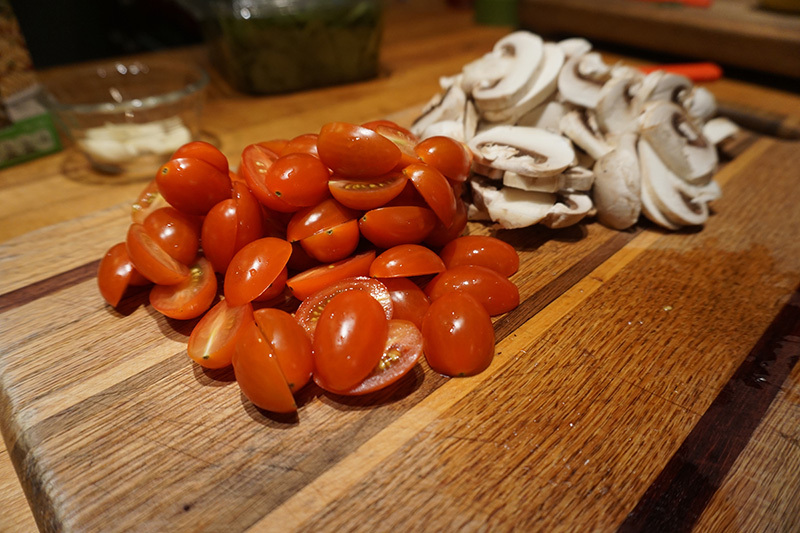 Slice mushrooms thinly, and cut tomatoes in half. Dice the garlic as finely as possible; if you have a garlic press, use that. 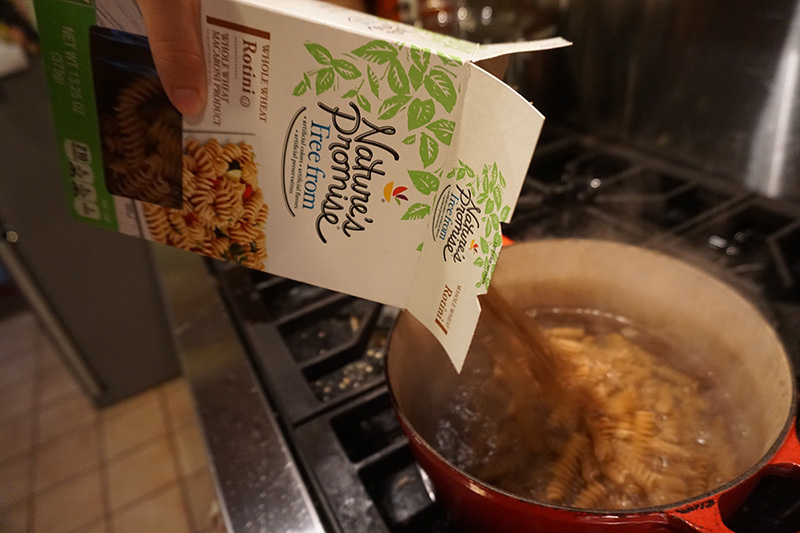 Cook the pasta according to the instructions on the box. Set aside in a bowl with the tomatoes. Heat oil on medium-high heat in a pan, and add mushrooms to sauté until they are tender and lightly browned, 4-5 mins. Add spinach in the last minute or so, and take the whole pan off the heat when it’s cooked. Ingredients should shrink down to about a quarter of their original volume. Juice the two lemons, and combine with equal parts olive oil in a small, separate bowl. Add the garlic and mix. 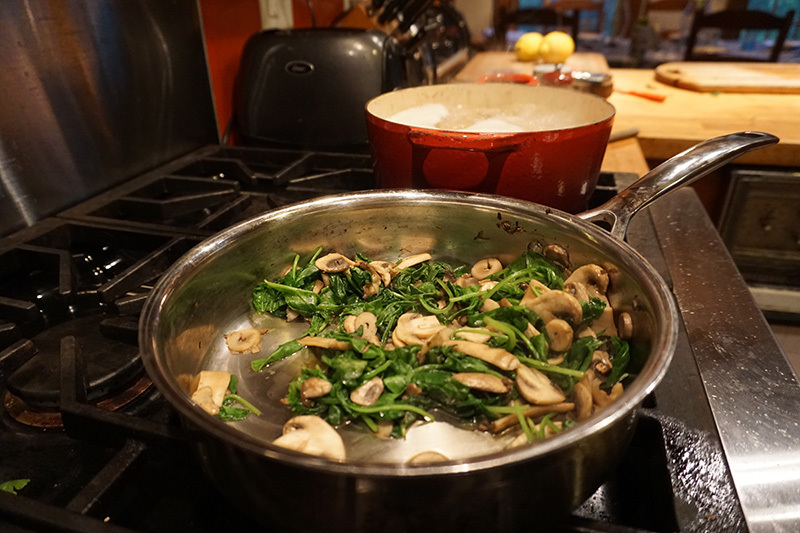 Pour the sauce over the mushrooms and spinach. Taste, and add salt to preference. 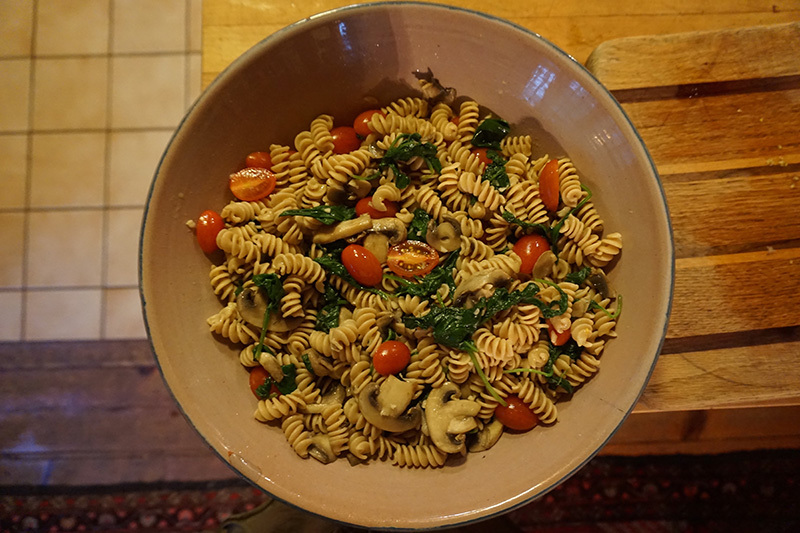 Combine pasta, tomatoes, mushrooms, and spinach in a bowl and serve. Add Parmesan if you want. Season with salt and pepper on each side. Cook in pan with heated oil for approximately 7 minutes on each side. Remove and cut into bite-size chunks, making sure the meat is cooked all the way through. 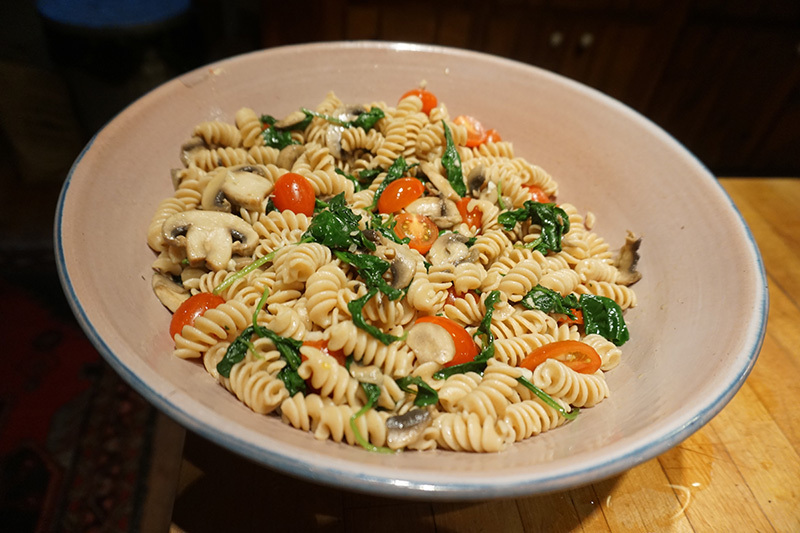 Combine with pasta, tomatoes, spinach, and mushrooms, and add cheese if desired. Cut squid into bite-size pieces and throw into a pan with heated oil. It will take under a minute to cook. Combine with the pasta dish, and add cheese if desired. Remove and rinse canned black beans and corn, combine with the pasta dish, and add cheese if desired. You did not specify where you bought your items, but the photo tells us it was Stop and Shop. For those on a grocery budget, a more helpful budget recipe article would be a comparison of market prices, preferably weekly. For instance, last time I was in Cronig’s, they were selling their lemons for $.95 each, not the $.60 as you were able to buy from Stop and Shop. I appreciate your effort but we need to know who has fair prices so we can make budget recipes. 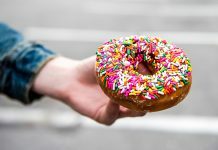 General experience tells us that that Reliable and Stop and Shop are the only places to shop if you’re a budget, but it’s hard to know for sure without a weekly update on everyday items like these. It would be interesting and helpful to see costs for this recipe made from purchases from different markets. There is a Facebook page that does Island market price comparisons but it is not very active.